It takes 17 muscles to smile and 42 to frown. Sounds familiar? Ah reminds us of our social media feeds! Well, we take the responsibility of making those 17 muscles work which unfurls the beautiful smiles on all those deserving children. Muskurahat foundation works with the motto: Spread the smile and be the change. It consists of committed and zealous young souls endeavoring to bring the change that everyone just talks about. Himanshu Goenka, the founder of Muskurahat Foundation begun to fan benevolence and contribution to society with the birth of this foundation on 10th June 2014. The event, ‘Ek Safar Khushiyoon Ka’ was organized with 91 kids of Bal Bhavan, Girgaum Chowpatty with the motive of celebrating with kids was to share joy and delight with the less privileged. We commenced with a mingling session to know the kids better. The event proceeded with Art and Dance workshop and screening of the film Chillar Party. DJ Music and other facilities were arranged by them. The event was sponsored by Dash Entertainment & Souvenir Entertainment. One of the spectacular jamborees was the ‘The Joyride 2016’ for which we were obliged to receive support from Bikers United for A Cause with 53 riders. 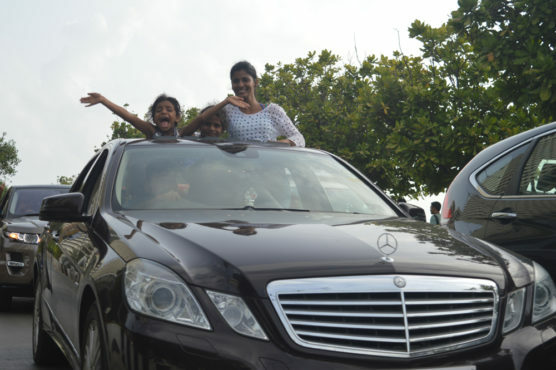 The joyride was a blissful experience for the kids on luxurious toys ranging from Royal Enfield to masterpieces like Audi, BMW, Mercedes Benz and Range Rover. The road-map was from the Girgaum Chowpatty passing through Queen’s Necklace, Nariman Point- Hanging garden and back to Home-Bal Bhavan. Himanshu Goenka, President of Muskurahat Foundation said, “Riding on a luxurious bike or car is probably a dream and we would love to make the dreams of a few kids come true. 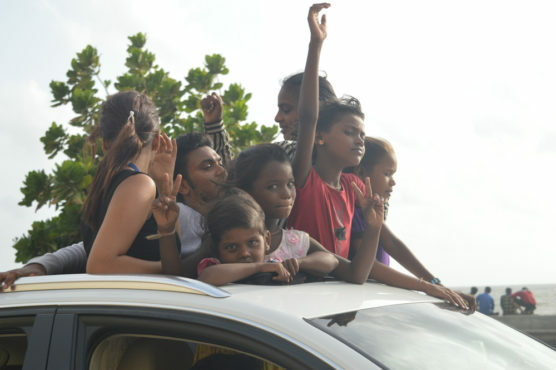 Especially when the kids are deceived by their fate.”An event like The Joyride 2016 took place for the 1st time in Mumbai. This was an initiative to make the kids feel that they are deserving and have the equal right to secure a respectful place in the society. All the fundamentals of the kids were well taken care of with lunch, snacks, excellent arrangements and decoration of the venue. The kids were also awarded Art hampers. It was our sheer delight to have great personalities at the event to support our cause. Nakash Aziz’s the singer of ‘Jabra Fan’ was also a part of this auspicious day for celebrating our contribution to the society. Muskurahat Foundation is an initiative to touch every sphere of society and they did not have anything else other than Muskurahat to return on our anniversary. We intended to spread euphoria and endless smiles in the lives of 91 kids. We forget to revel over small joys in our lives, but our team of youngsters in Muskurahat never frown to work for the betterment of the society. We want to do every bit that each individual fails to deliver back. We need more of such people around us. Our aim is to create a nation where better future awaits. Do good grades predict success ? Hosting Provided by prodevplus .Benevolent by Rara Theme. Powered by WordPress.